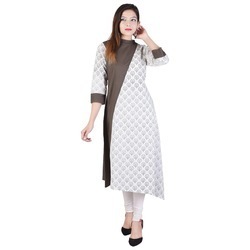 We are a reputed manufacturer, exporter, wholesaling and supplier of Jaipuri Dress Material. Offered Japuri dress materials are made perfectly by our tailors by using quotients of modernism. For serving the spotted needs of our customers, the offered Japuri dress materials are obtainable in latest colors, designs and other related stipulations. Our dear customers can take the complete assortment of Japuri dress materials at nominal rates. We are the leading and prominent Manufacturer and Exporter of Ladies Top. 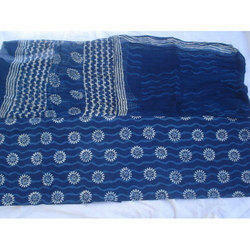 We are an eminent manufacturer, exporter, distributor and supplier of the premium quality Hand Block Printed Suit. The given printed fabrics are imaginatively designed under the direction of professional. 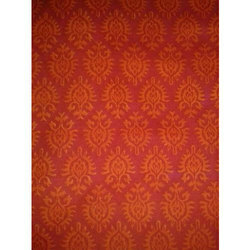 The offered printed fabrics are admired for their vibrant colors and many more features. 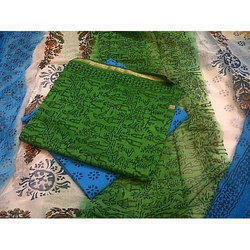 For satisfying our customers, these printed fabrics can be taken in a myriad of colors and designs by our customers. 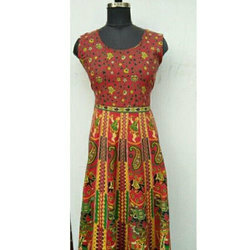 This printed dress material is stitched with best quality fabric according to the fashion industry norms Suit Material. Our suit material is accessible in diverse designs and patterns. Along with that, this suit material has soft fabric & provided in different packaging options to choose only at affordable rates. 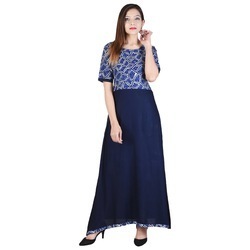 We are recognized as foremost manufacturer, exporter, distributor and supplier of premium quality Indigo Dress Material. For designing this suit material we use optimum quality fabrics which add one more feature on its quality. Our given suit material is made according to the latest fashion trend and provided in bulk quantity. We check our gamut of suit materials on predefined standards which is set by the industry. Also, our customer can take these suit materials at nominal rates. 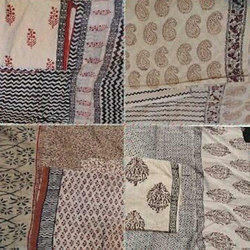 We have expertise in manufacturing, exporting, wholesaling and supplying an exclusive range of Block Printed Suits that is widely demanded in the market. 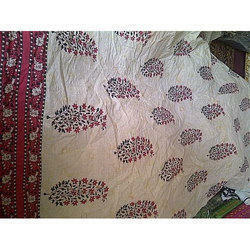 Our well experienced experts design this block printed Suits at our finest fabricating unit. 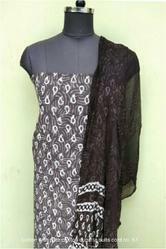 We take the complete requirements before designing this block printed suits. The offered Block printed suits is best in quality & enhances the look of the wearer. 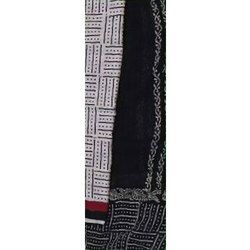 This block printed suits is examine on quality parameters for make certain its quality & provided at pocket friendly rates with special discount. 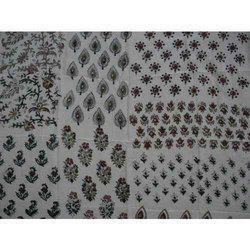 We have Printed Cotton Fabric, that are used for kurtis ,nightie and other. These dress material are designed with sanganeri prints, to ensure their flawless finish, intricate designs and patterns. To meet the varied tastes and preferences of or customers. 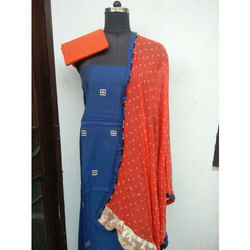 This dress material is impeccable in looks and highly durable owing to the fabric. It is easy to wash and colorfast, as high quality colors. We are a leading manufacturer, exporter, distributor and supplier of an exclusive range of Hand Block Buti Design that is widely demanded in the market. Our well experienced experts design this buti design bed sheet at our finest fabricating unit. We take the complete requirements before designing this buti design bed sheet. The offered buti design bed sheet is best in quality. This buti design bed sheet is examine on quality parameters for make certain its quality & provided at pocket friendly rates with special discount.